Adam comes to us after nearly 10 years in Hospitality Management. 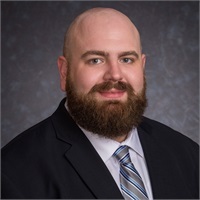 With the support of his wife Kelly, Adam earned his Bachelors Degree in Finance and a Minor in Economics from SUNY Brockport in his late 20’s and found his home here at Centra. Adam, with a holistic approach to planning, enjoys teaching his clients about various strategies in order to help them reach greater financial success and also helps them bring organization to their ever changing financial world. Adam also focuses on creating long lasting relationships with each and every client in an effort to grow and adapt together in order to reach their goals. In his free time Adam enjoys spending time with his son Micah, playing golf, attending hockey games, and traveling.